You’re frustrated. You’ve been wanting to write a memoir but you’re having trouble getting words on the page. There are always excuses. You don’t have enough time, know-how, courage or caffeine. Your chair’s uncomfortable. The dog needs a bath. You know the drill. If you’ve got a story to tell but need some support getting started and understanding how to write a memoir, this course is for you. Jumpstart Your Memoir is a 21-lesson online course that brings together top content from eight of my most popular writing classes—previously taught in person and online at the University of Denver, Arizona State University and Lighthouse Writers—into one easy-to-understand, self-paced program. Over the last 15 years, I’ve taught memoir writing to more than 2,500 adult students and coached more than 400 individuals. The 21 lessons pulled together in Jumpstart Your Memoir represent the most valuable—and popular—lessons I’ve ever taught. Best of all, you’ll have generated a stack of new pages and laid the foundation for a regular writing routine. Saves time and money. To gain all the insight presented in this course, you’d have to take several different writing workshops. This not only requires more time (and can be a scheduling hassle) it also costs a lot more money. Allows you to work at your own pace. With Jumpstart Your Memoir, you’ll get each new lesson only when you’re ready for it. You could do five in one day, or skip a couple days. Links to online resources. You’ll be given links to resources to help you in you writing journey. These include writing craft books that should be on every memoirist’s bookshelf, recommended memoirs, a guided meditation, and a private Facebook community made up of other first-time memoirists. For each new lesson, you’ll receive an email with a link to a PDF file that contains the lesson, writing excerpts from other authors (where appropriate), and a worksheet for completing the exercises. Some lessons take just 10 minutes to complete. Others might take longer, depending on how deep you want to go and how much time you have. Once you complete a lesson, simply check the box marked “complete” and the next lesson will be immediately emailed to you. This way, you won’t be overwhelmed by emails—you’ll get the next lesson when you’re ready for it. While you could easily complete the course in 21 days, you could also take more or less time depending on your schedule. When you’ve competed the lessons, you’ll receive a “Go the Distance” bonus package that includes tools and techniques to help you develop an ongoing writing routine that works for you. If you were to individually purchase the courses combined here—or paid for one-on-one coaching—the cost would range from $800 to well over $4,800 dollars. But I’m offering all this content for just $297. Why? Because I’ve seen thousands of writers transform themselves through the relatively simple—though not always easy—act of personal storytelling. Memoir writing will give you a profoundly new perspective on your life. You’ll gain confidence, understanding, courage, compassion and forgiveness for yourself and others. Memoir writing is not only a powerful act of self-validation, it is also one of the most healing things many of my clients have ever done. What are some of the individual lessons included in this course? Jumpstart Your Memoir is a self-paced program. You may choose to complete five lessons in one day, and then not write for a day or two. If you were to complete one lesson every weekday—which is what I recommend—you’d complete the course in a month. How long does each lesson take? Some of the lessons in this course can be completed in just 10 minutes. Others may take 30 minutes or longer, depending on how much time you have to invest and how many drafts you wish to create. By the end of this course, you’ll have a solid understanding of the story you wish to tell and how to tell it; you’ll understand the craft elements that contribute to a great memoir (including the reflective voice, scene setting, and evoking emotion); you’ll learn what agents are looking for in memoirs; you’ll have tools to manage difficult emotions such as shame and fear and doubt; and you will have created a lot of pages and created a regular writing routine. How does this course compare to other writer’s workshops? Many online and in-person workshops focus on just a few craft elements per session, and involve extensive critique of other people’s work. This course allows you to learn a total of 26 craft techniques while focusing solely on your own work—all for less cost than a typical workshop. Will there be an opportunity to interact with other students in the course? Yes! The course includes access to a private Facebook group consisting of other Jumpstart students. Each participant will be encouraged to share their struggles, triumphs and snippets of work with other writers. Will I be able to interact with the instructor? You could also choose to sign up for the Jumpstart Coaching-and-Course Package that includes the Jumpstart e-course and a 90-minute “Ask Me Anything” coaching session. The combined package is offered for the extraordinarily low price of $397—a 33% savings from the cost when purchased separately. You can use the Ask Me Anything session any time within 90 day of signing up for the course. Yes! Participants will have access to complete list of resources, including a list (with amazon links) of all the memoirs and writing craft books referenced in the course, as well as a few other books I highly recommend to all writers. You’ll also have access to an audio file of a guided visualization designed to help you visualize your ideal writing life. What you do after the course is entirely up to you. You could choose to continue drafting the memoir on your own. You could choose to sign up for ongoing coaching. You could take your drafts and seek out a writer’s workshop in order to gain feedback from others. Regardless of the path you choose, after the course you’ll be thoroughly grounded in all aspects of memoir writing and ready to craft a story that will grab the reader’s attention. Okay, I’m sold! How do I sign up? 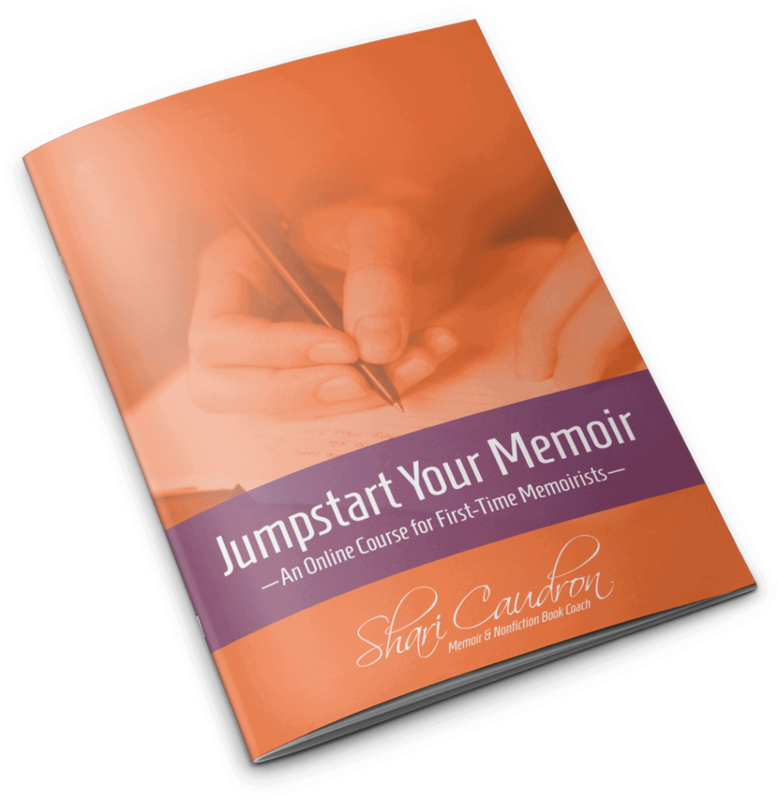 Click here to sign up for Jumpstart Your Memoir and get started today! Your memoir is waiting. Enroll now. Limited Time Offer –Save 33% on a Course-and-Coaching Package! If you would like some personalized one-on-one coaching along with the Jumpstart course, you might consider the Course-and-Coaching Package. 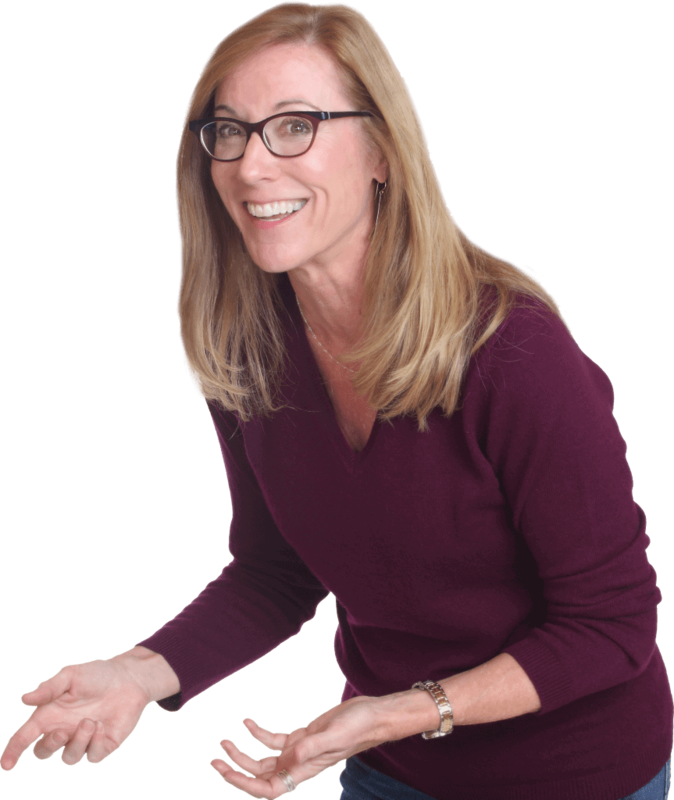 For a limited time, I’m offering the Jumpstart Your Memoir course along with a 90-minute “Ask Me Anything” Coaching Session for just $397—a 33% savings over the individual itemized cost. You can sign up for coaching any time within 90 days of purchasing the course. Sign me up! I want the Course-and-Coaching package for just $397!